Artist Statement: I learned to make silver jewelry in high school. I decided to pick up the craft again a few years ago. Each piece is unique. I use silver and beads mostly. 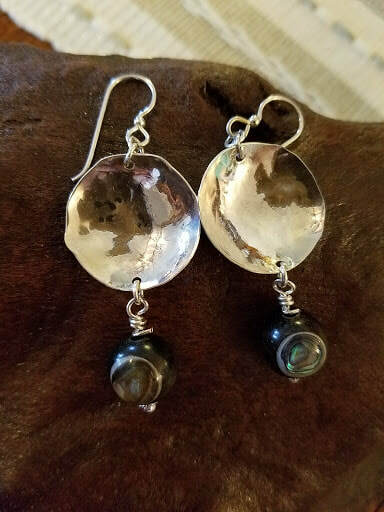 I specialize mostly in earrings, rings and necklaces Some pieces are soldered together and others use cold connections such as jump rings and rivets.